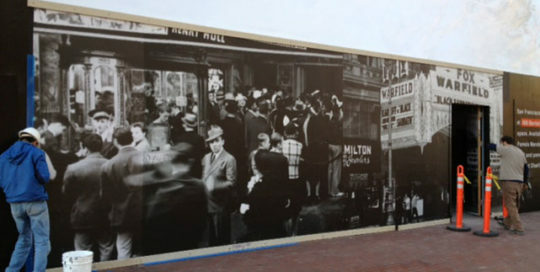 Wall Coverings and Murals Archives - Page 5 of 5 - Martin Sign Co. 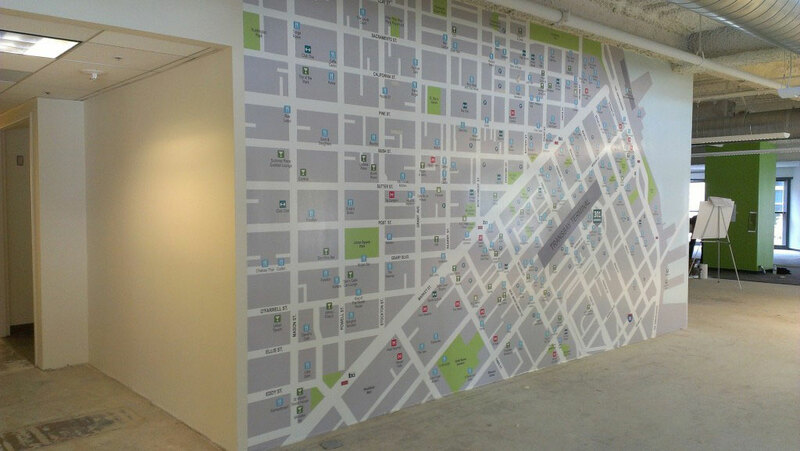 Here are some display graphics we did for Jones Lang LaSalle at 301 Howard Street in San Francisco. 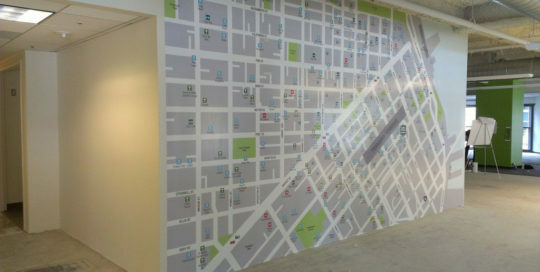 This is a construction barricade where we covered it in digital printed graphics at a retail space on Union Square in San Francisco. 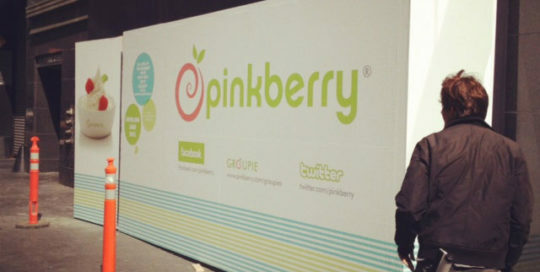 This barricade was 15′ tall x 26′ all the way around. 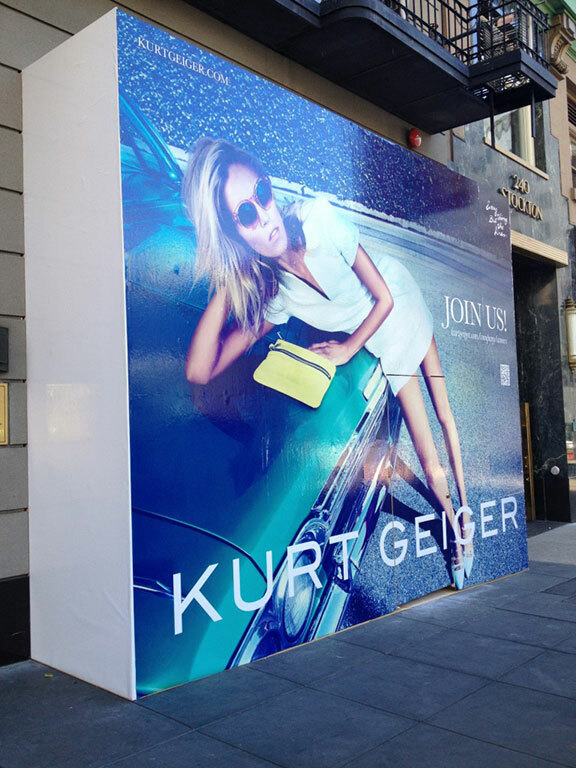 Barricade graphics are a great way to showcase to the world in high traffic areas what store is coming soon. 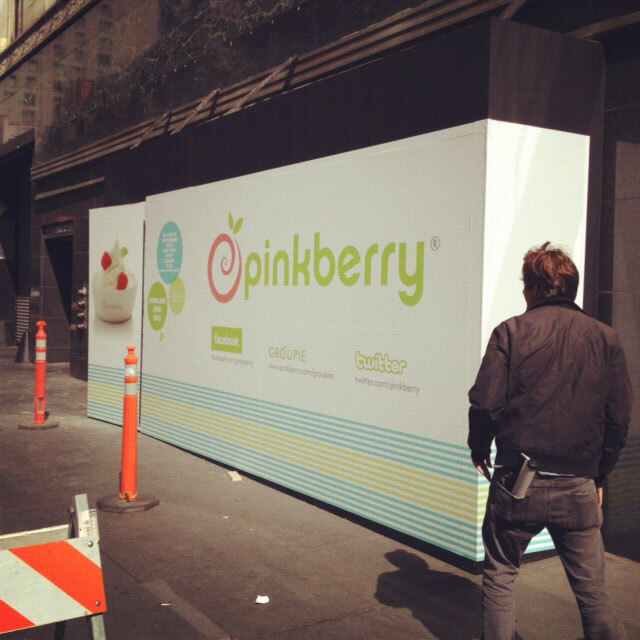 We got this call yesterday to get these digital graphics up on this construction barricade for Pinkberry. 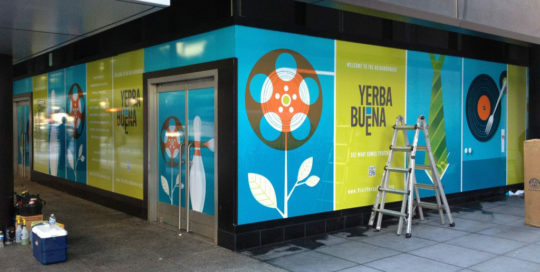 The construction barricade that needed digital vinyl graphics is located on O’Farrell Street at the ground floor of the Macy’s in San Francisco. It’ll only be up a month so check it out before they tear it down! 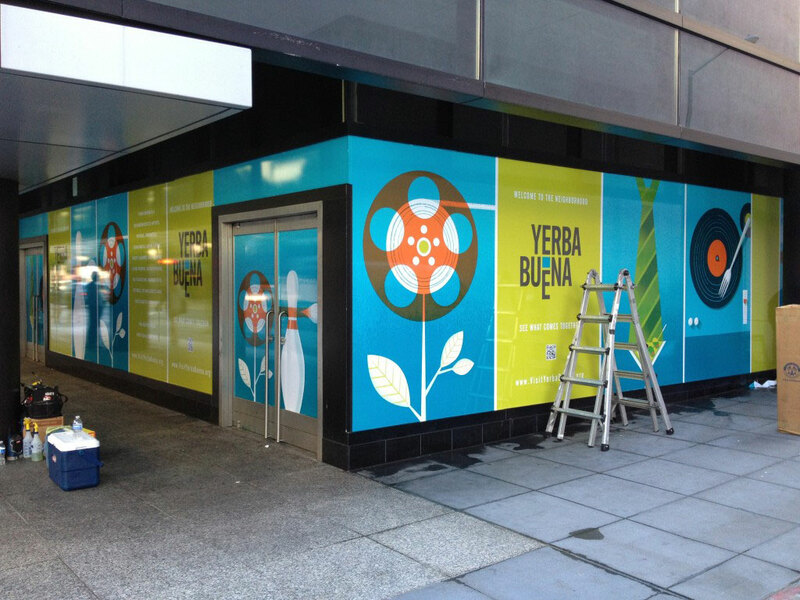 This is a good example of a large digital graphic installation we did for Yerba Buena on 4th and Mission in San Francisco. 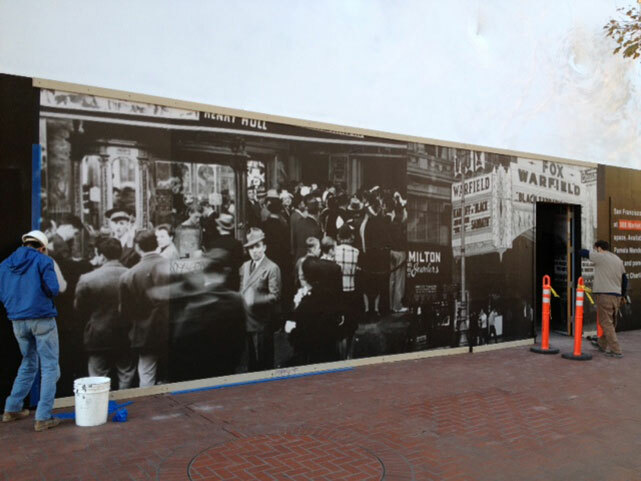 The graphics covered a corner location on the Mission Street side of Bloomingdales.